This is not your parents Art and Science of Sails, written by Tom Whidden and Michael Levitt and published in 1990 by St. Martin s Press. The first edition sold more than 20,000 copies. The Second Revised Edition 2016 is written by the same duo. What a difference 25 years makes! Today there are one-piece sails made over a 3D mold in the shape they will assume in the wind. Sail plans have radically evolved to fractional rigs, fat-head mains, and non-overlapping jibs. That is true for racing boats as well as cruising. Thus, ninety percent of the text is new, as are almost all of the more than 100 photographs and technical illustrations. The authors focus on circulation as they did in the first edition, but now come at it from a different direction. And for the first time anywhere, they attempt to quantify its effects. Where the wind speeds up and why as it passes over a sail plan, and where it slows down and why. Circulation theory is familiar to aerodynamicists for at least 100 years and is argued about by sailors at least since 1973, when the late Arvel Gentry loosed his theories on the sailing world. Gentry was an aerodynamicist at Boeing by day and a sailor on the weekends. And the theories used to explain why airplanes fly were at odds with the theories of why sailboats sail to weather and what the slot actually does. Whidden and Levitt utilize explanations like circulation to answer such diverse questions as: Why fractional rigs, fat-head mains, and non-overlapping jibs have come to predominate. Why and how leech twist can be a sail-trimmer s best friend. Why a yacht designer positions the mast, keel, and rudder to create some weather helm.Why the safe-leeward position is advantageous relative to the entire fleet, not just to the boat you tacked beneath and forward of.Why a mainsail s efficiency is improved with added upper roach, beyond the value of the extra area.Why the miracle of upwind sailing is not that there is so much lift but so little drag. Why, when sailing upwind, the main is always trimmed to a tighter angle than the jib. What a polar diagram tells us or why tacking downwind is almost always faster than sailing directly to a mark. There is also an in-depth look at the wonders of material utilization not just materials. Indeed there have been no new fibers accepted into sailmaking for over 20 years. It is how they are used that makes the difference. In the last three chapters, the authors drill down on mainsails, headsails, and downwind asymmetric or symmetric spinnakers. And in this edition for the first time they address downwind aerodynamics. 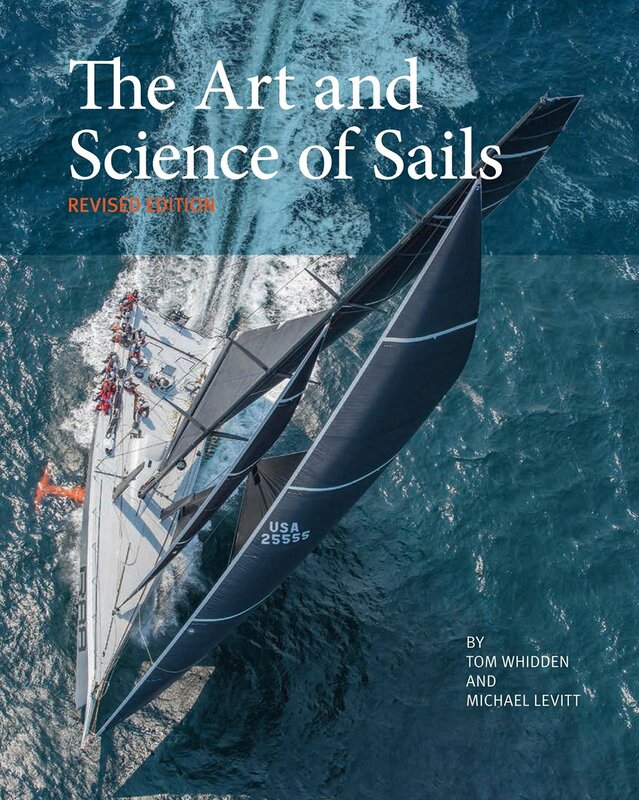 The book celebrates the complexity and beauty of sails and of the whole rarefied sport of sailing."